The Library of Congress has embarked on a campaign to raise $3.1 million to acquire and make accessible the Tony Walton Collection. The Library of Congress is the world’s largest repository of knowledge and creativity. with holdings numbering more than 151 million items in almost all of the world’s languages and dialects. 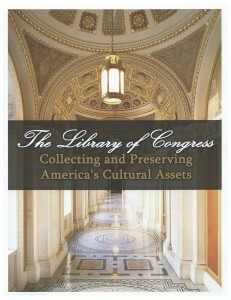 The Library of Congress has become an unparalleled resource for the worldwide scholarly community as an archive, a protector of creativity, a reading and literacy center, a partner in the classroom, a center for international studies, an exhibition gallery, a performing arts center, a publisher, a preservation laboratory, a site on the Internet and a conservator of national traditions. Among the great riches of the Library of Congress are its theater holdings, which document the creation and performance of theatrical works including stage and screen musicals, opera and operetta, spoken drama and dance. Collectively, the books and scores, scripts and libretti, scenic, lighting and costume designs, photographs, sound recordings and films, programs and posters, contracts and correspondence make up the largest theater collection in existence, a resource for scholarship and research unmatched anywhere in the world. To ensure that the stature and strength of its unequalled collections are maintained, and offer the broadest spectrum of resources, the Library of Congress acquires collection materials through a variety of means – including the copyright deposit program, gifts, and purchases. However, copyright deposits, gifts and materials purchased with federal appropriations are not always adequate to satisfy the institution’s acquisition needs. The Library depends on the generosity of private donors, especially for rare and unique items of great importance and cost, in order to fulfill its mission of making a universal collection available for future generations. Please consider making a contribution toward this effort to acquire, preserve, promote and make available to researchers these important materials documenting Tony Walton’s lifelong work on stage and film. You may make your gift payable to “The Library of Congress,” noting on the check or in a cover letter that it is for the Tony Walton Collection. For gifts up to $50,000, you can visit the Library’s website at www.loc.gov/philanthropy and select “Friends of Music – Donate Now.” Please note in the “Special Instructions” that your gift is for the Tony Walton Collection. For all contributions, the Library will send a written acknowledgment and a charitable gift receipts for your tax records. If you have any questions about making a tax-deductible donation or gift of stock for the Walton Collection, please contact the Development Office at (202) 707-2777.